Gazi Islam, a professor at Grenoble Ecole de Management, demonstrated in a recent study that humor is an efficient tool for managing interns. However, the study highlights the importance of using positive humor. Internships are not only a crucial part of a student's learning experience, but also an important foundation on which companies and schools build their relationships. As a result, they are an important part of a company's HR strategy and employer branding. How to manage interns? How to motivate them and create the desire to work with the company later on? The study interviewed 184 Brazilian interns about their manager's use of humor. "In most cases, humor helps create stronger relationships between people. It allows managers to be closer to their interns and develops trust." explains Gazi Islam. In addition, humor also helps create ties to the company as a whole. The relationship between a student and his or her supervisor is fundamental part of sharing a company's values. Humor is also an effective way to share an organization's policies. Humor is one of the best tools to motivate interns. The reason for this is that it plays a key role in the relationship between a student and manager. In addition, it helps motivate the troops and brings them closer together. "The results were clear: The more humor was used, the more satisfaction and motivation were higher among interns." adds Gazi Islam. As a result, interns expressed greater desire to stay with a company. Despite the clear advantages of humor, you have to be careful not to use humor in a sarcastic or negative manner that humiliates the student. In such cases, the effects of negative humor were devastating. "It's the complete reverse of positive humor. 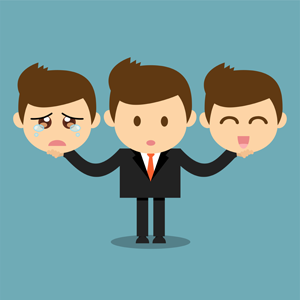 When used negatively, humor creates stress, a dislike of management and an overall negative image of the company. You have to know how to use humor wisely. Always use it positively to encourage interns." concludes the professor.